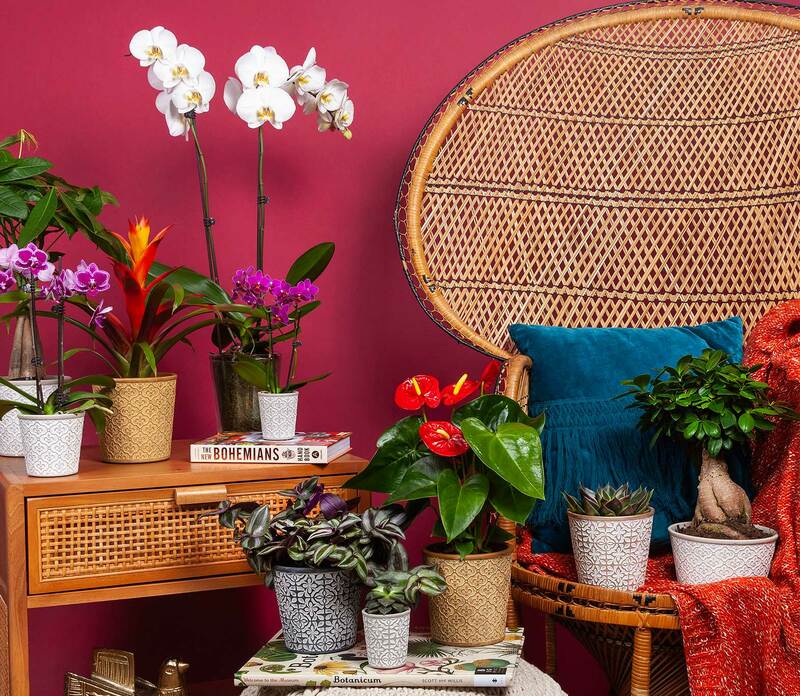 Max’s plants are vibrant and exotic, showing off unique blooms and stems to create an intricate statement piece and conversation starter. 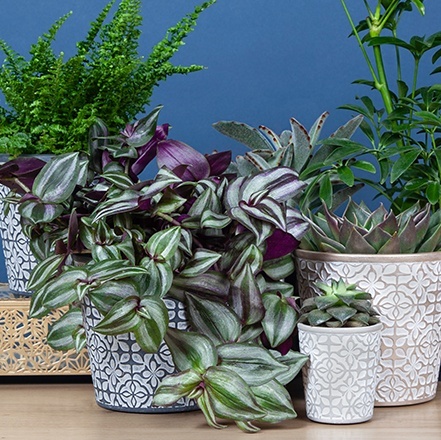 Miles’s plants include succulents and foliage, many with trailing tendrils and vines with a lush and tropical feel. A Miles is relaxed and free-spirited, often going with the flow and seeing where their intuition can take them. 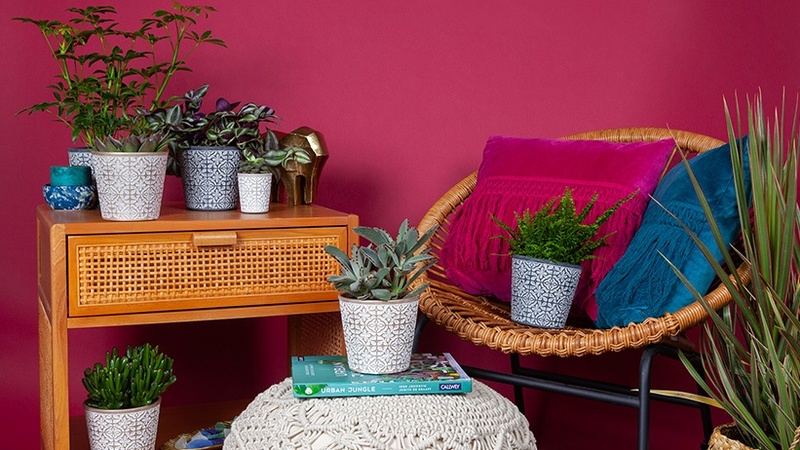 We want your plant to thrive as much as you do. 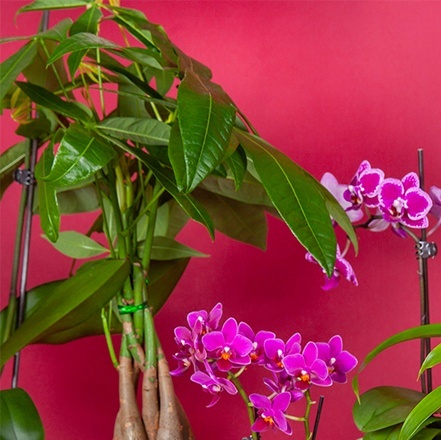 Click on your plant below to view simple care instructions to keep your plant alive and happy. Water your foliage frequently enough to maintain damp soil. Place foliage in indirect sunlight. 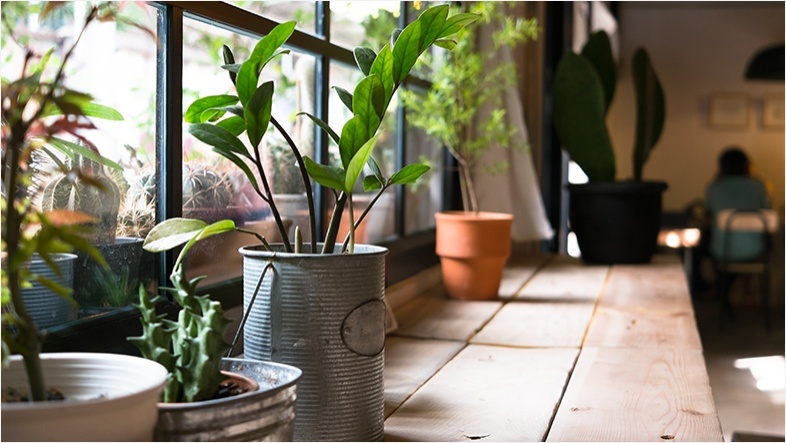 Keep foliage at room temperature between 65° and 85°F, avoiding extreme heat and cold. 5” orchids with three ice cubes once a week. 3” orchids with 2 ice cubes once a week. 2.5” orchids with 1 ice cube once a week. 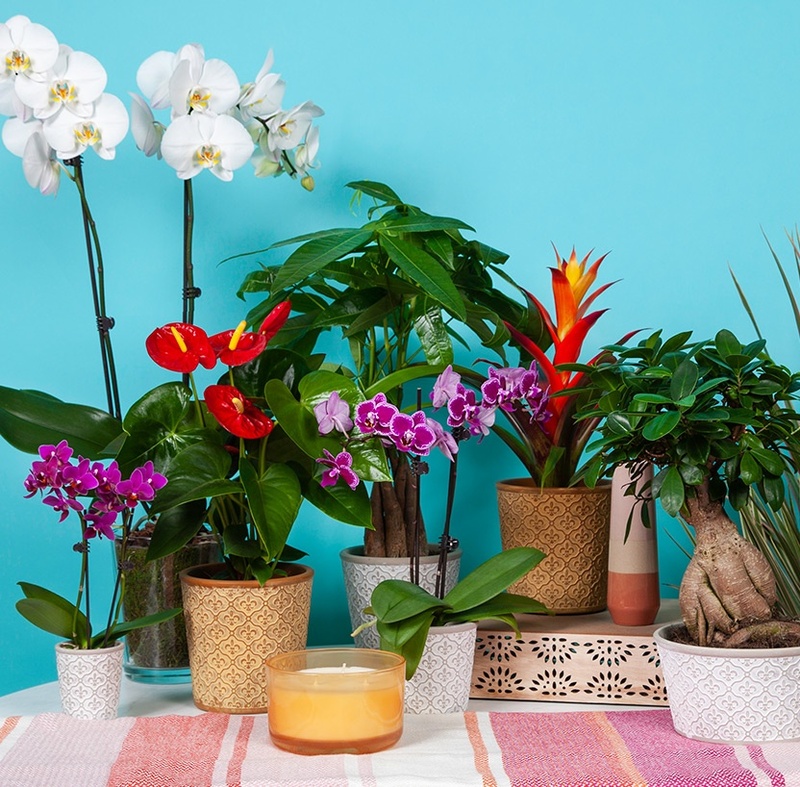 Place orchids in a bright location, avoiding direct sunlight. 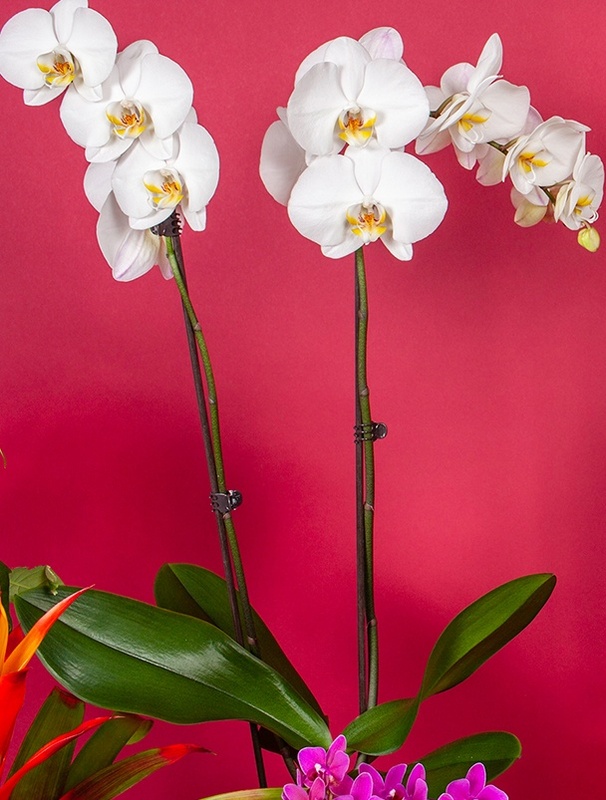 Keep orchids at room temperature between 65° and 85°F, never below 55°F. Avoid placing near drafts. 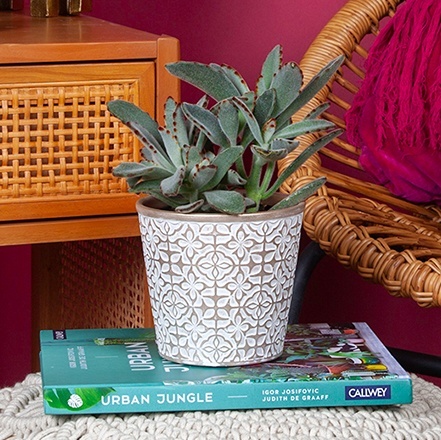 Water your succulent so that the soil is damp, not fully saturated with water. Allow the soil to dry completely between waterings. 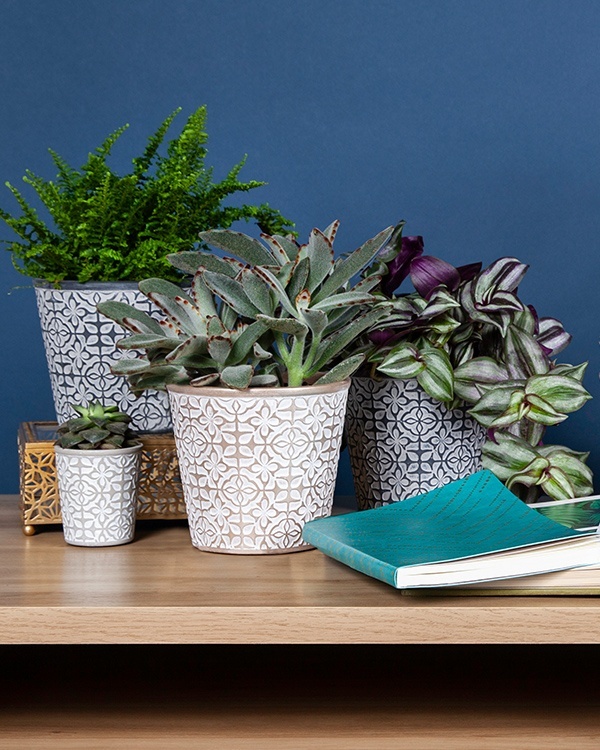 Place succulents in bright, indirect sunlight and watch out for sunburn (black or brown spots) and stretching stalks as the succulent reaches for more light. Keep succulents at room temperature between 65° and 85°F, avoiding extreme heat and cold. Water anthuriums with six ice cubes once a week. 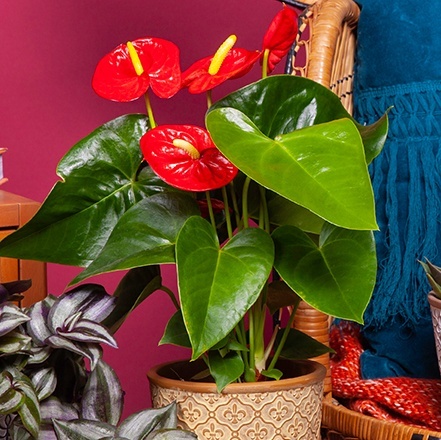 Place anthuriums in a bright location, avoiding direct sunlight. Keep anthuriums above 55°F. Avoid placing near drafts. Water bonsais with five ice cubes once a week. Place bonsais in a bright location, avoiding direct sunlight. Keep bonsais above 55°F. Avoid placing near drafts. Water bromeliads by adding water to the leaf cup, the center area created by overlapping leaves, once a week. 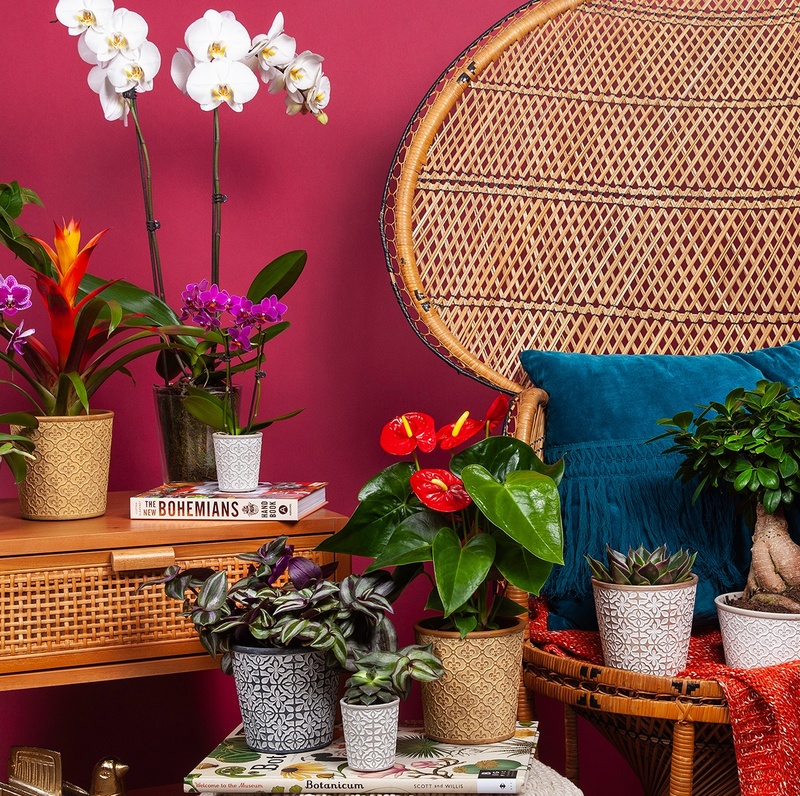 Place bromeliads in a bright location, avoiding direct sunlight. 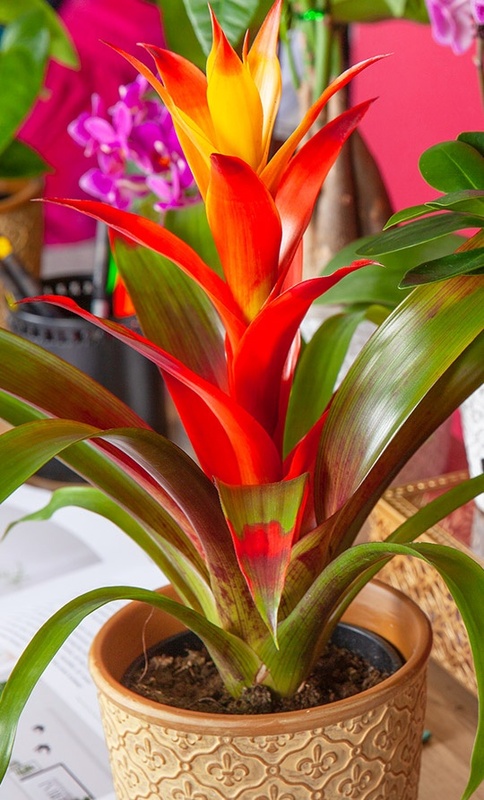 Keep bromeliads at room temperature between 65° and 85°F, never below 55°F. Avoid placing near drafts. Water money trees with two ice cubes once a week. 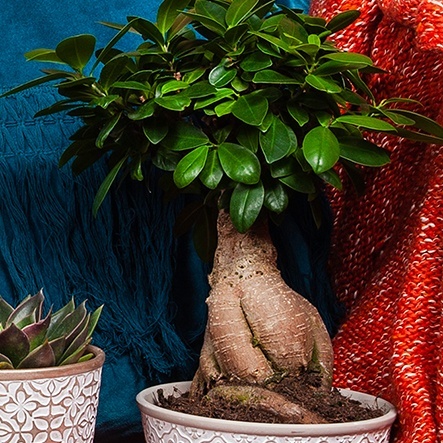 Place money trees in a bright location, avoiding direct sunlight. Keep money trees at room temperature between 65° and 85°F, never below 55°F. Avoid placing near drafts. Resources for everything you need to know about watering, light, reblooming and more. Quiz: Are you a Max or a Miles?